When your probation is violated, you have very few rights. Usually probation is violated due to a new arrest. 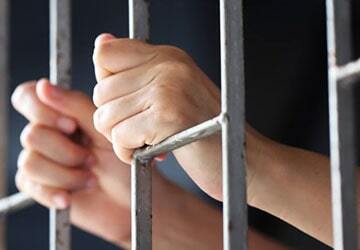 To schedule a free initial consultation with an experienced criminal defense attorney regarding your probation violation, or potential probation violation in or near Bridgeport, Connecticut, contact the Law Office of Tina Sypek D'Amato, LLC. An important thing to remember about probation violations is that court prosecutors often use the threat of a violation of probation to get you to plead guilty to the substantive underlying charges of a new arrest. If you don’t plead guilty, they go forward with a violation of probation hearing where there are few rules of evidence. For instance, hearsay is generally allowed and generally speaking, the exclusionary rule is inapplicable. So if evidence was seized unlawfully, it is admissible. A parole violation is different in that parole is a sentence. You are given the limited freedom in exchange for complying with certain conditions. Parole officers have very liberal rights and if you are found to have violated those conditions, you don’t get bail. A hearing will be scheduled after your new charges are resolved, usually several weeks later. Then, depending on the new charges and the disposition, you will be given a certain percentage of your parole to do from 35% to 100%. Learn your rights and allow experienced probation and parole violation lawyer Tina Sypek D'Amato to fight for the best outcome in your case. Contact the law firm by phone or email to schedule a free initial consultation.